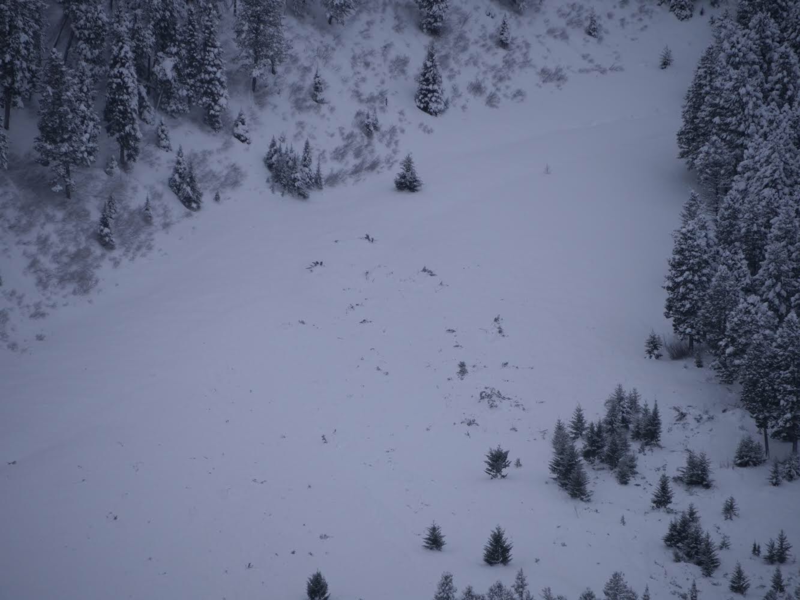 From the ridge late this morning (1/24) we saw multiple large crowns in Truman Gulch on the west side behind Bridger Bowl. Biggest was behind d-route (photo). 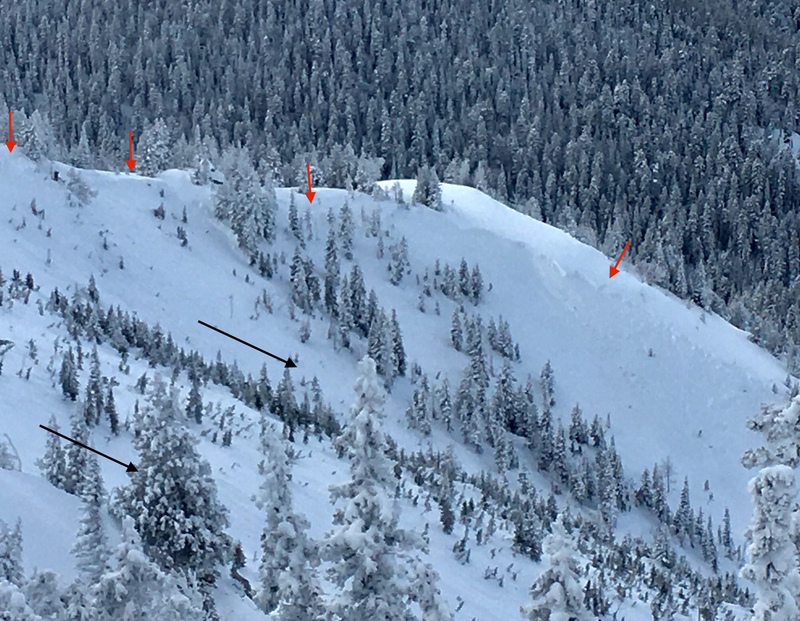 Avalanche on west side of Bridgers behind d-route at Bridger Bowl.